Fortune 500 medical technology firm acquires Durham-based company and keeps manufacturing of biosurgical sealant device in North Carolina. Advanced Animal Diagnostics (AAD) of Morrisville has entered into a license and commercialization agreement with Zoetis, the world’s largest animal-health company, to bring AAD’s mastitis-detection technology to dairy producers and veterinarians outside of the United States. Patients wanting easy access to their lab test results from LabCorp can now get them through their smart phones. Precision health took center stage in North Carolina recently as Duke University hosted its second Precision Medicine World Conference (PMWC). The event attracted more than 400 experts who represented health and biotechnology organizations from around the world. Humacyte, a Durham-based regenerative medicine company, has begun a Phase 2 clinical trial of Humacyl, its bioengineered blood vessel, in patients with vascular trauma. Six North Carolina bioscience companies are among 15 companies from the Southeast selected as finalists for awards to be given at the 20th annual SEBIO Investor and Partnering Forum in Atlanta next month. Renaissance Computing Institute (RENCI) may be the most successful organization in North Carolina that few people have ever heard of. But that’s about to change. 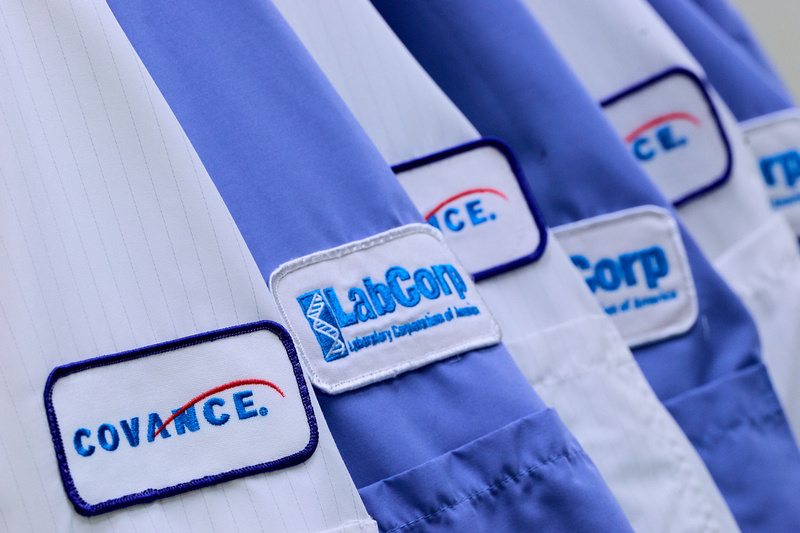 Burlington-based global life science company LabCorp and AstraZeneca subsidiary Definiens have announced a collaboration to speed the development of precision medicines. Todd M. Pope, president and CEO of TransEnterix Inc., a Morrisville medical device company that makes minimally invasive robotic surgical systems, has been named to Time magazine’s 50 Most Influential People in Health Care for 2018. North Carolina’s entrepreneurial companies will have an opportunity to learn more about alternative funding sources -- disease foundations that have established venture arms -- at a November 1 event at the North Carolina Biotechnology Center. Nufarm Americas has its roots “down under,” but it’s happy to do some of its growing up in the Old North State. A $100,000 Economic Development Award (EDA) from the North Carolina Biotechnology Center will boost bioscience industry growth in Burlington and Alamance County.